2017October13What’s your approach to automation? What’s your approach to automation? 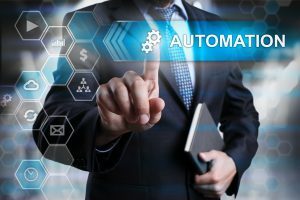 When developing your business objectives and technology, a key component is evaluating the degree of automation offered by your technology platforms. Self-service and automated business processes often reduce costs while improving agent and customer productivity. Consider what you are doing to drive overall customer automation, expand the linkages between front-end and backend systems to streamline the agent experiences (CTI) , support your agents by empowering them to better service your customers (WFO) and most importantly, what systems do you have (and desire) to measure your centres performance (Reporting)? What do you need to add, enhance or revamp to deliver a better customer experience? By expanding automation technology across the contact centre you can also expand the areas to which the technology itself can bring value. AWS Connect offers unmatched capability by introducing Amazon Lex into your automated service flow. For decades the promise of a natural voice interface has been not only marketed, but often implemented with less than staggering results. For the first time in more than 20 years however, a groundbreaking new solution promises to deliver on natural speech interactions. By harnessing and training millions of interactions through its hardware offerings (Amazon Echo & Dot), Amazon has created a technology offering that finally delivers in the ways customers expect. Due to Lex’s expanded automation capability, businesses with existing investments in Nuance or other speech platforms should strongly consider looking outside their built grammars for speech interactions. Not only will this afford significant cost savings against existing software and application requirements, but the new capabilities will further reduce expenses due to the ease and simplicity of new deployments. Every business should ask the question, what would I do in my service channels if my existing systems weren’t holding me back? How can I replicate my best human-human interactions with technology? And how can I better predict why my customers might be calling me? Could we leverage some of the other AWS tools to store, mine and derive insights that might allow us to create dynamic, personalised service offerings for each and every caller? VoiceFoundry can help you find the answers to these questions and any others. Download our White Paper for more information.